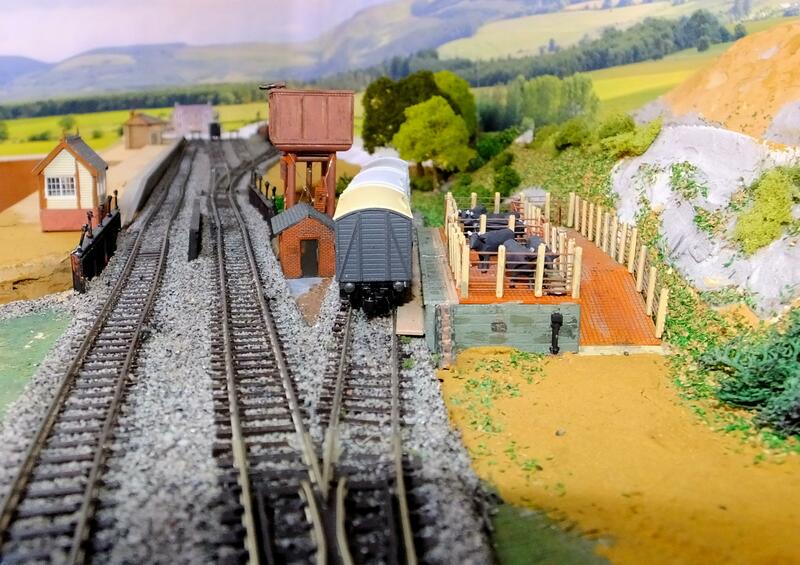 Hi stupid question but which side of the G :worried:raham Farish cattle dock goes rail side ? I would have said the long side which doesn't have the steps extending from it so that the fence is too close to a wagon for the cattle to do anything other than cross directly between the stockade and the wagon. Steps go to the rail side; the two gates are opened across the walkway and then the lower part of the door makes a ramp for the livestock to cross the gap. 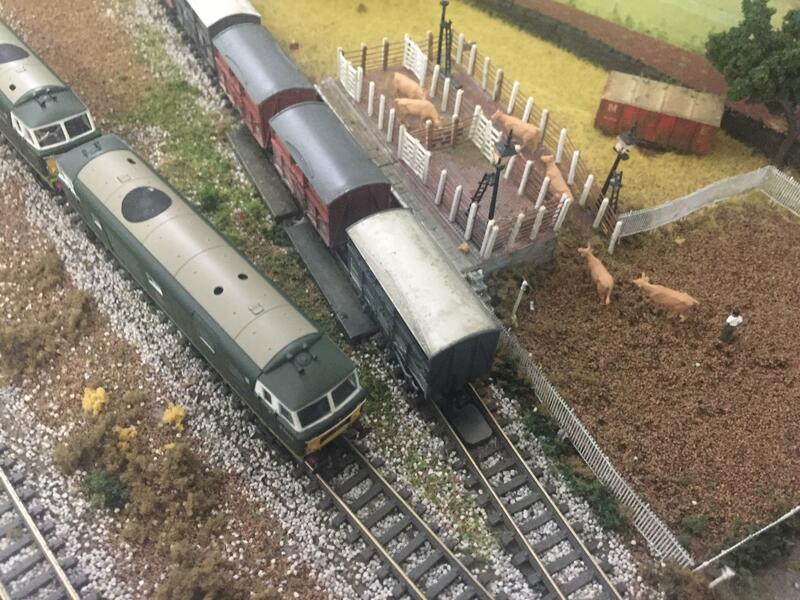 Presumably on the Farish model the gates on the other side are for the livestock to be transferred from a lorry, but it would have to have a high floor. This is the Ratio kit as standard at Aberayron. And this is what an adapted kit for Pencader looked like when my daughter became confused by the Hattons website and bought some hormone-fed beasts. Perhaps the proof that there is intelligent life in outer space is that they haven't contacted us. The remains of a Ratio cattle dock at Castle Eden... restoration required! 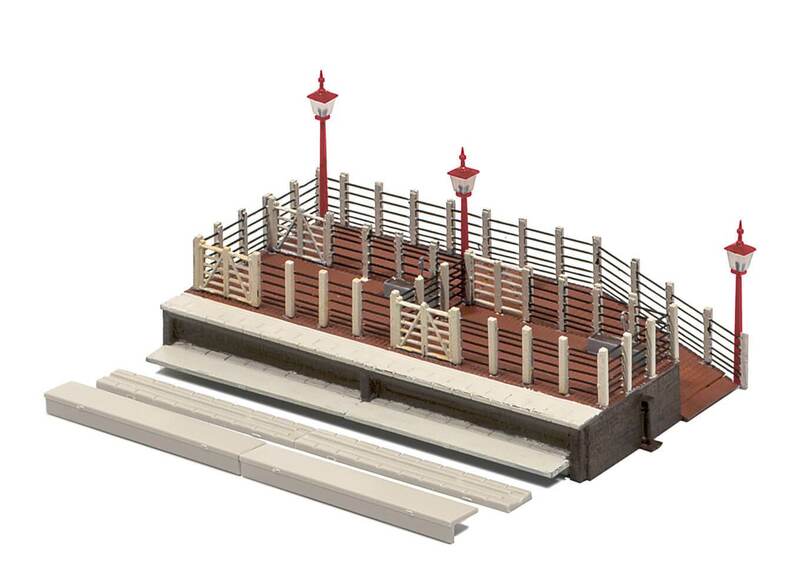 I think the Ratio cattle dock is a great kit, although they're all great, I reckon. I did manage to superglue the etched brass railings to my fingers during construction! Talking of railings, as you can see, restoration required! 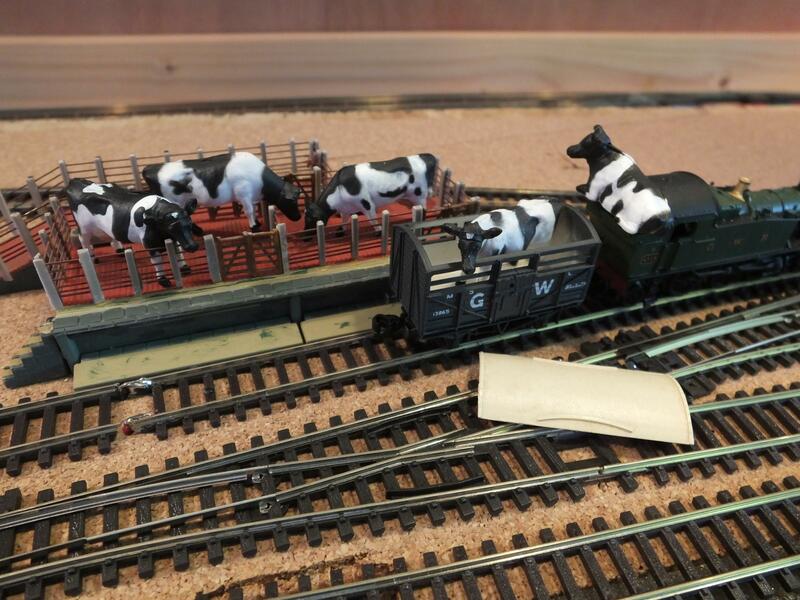 The cattle must be quite happy there, though... they haven't done a runner!